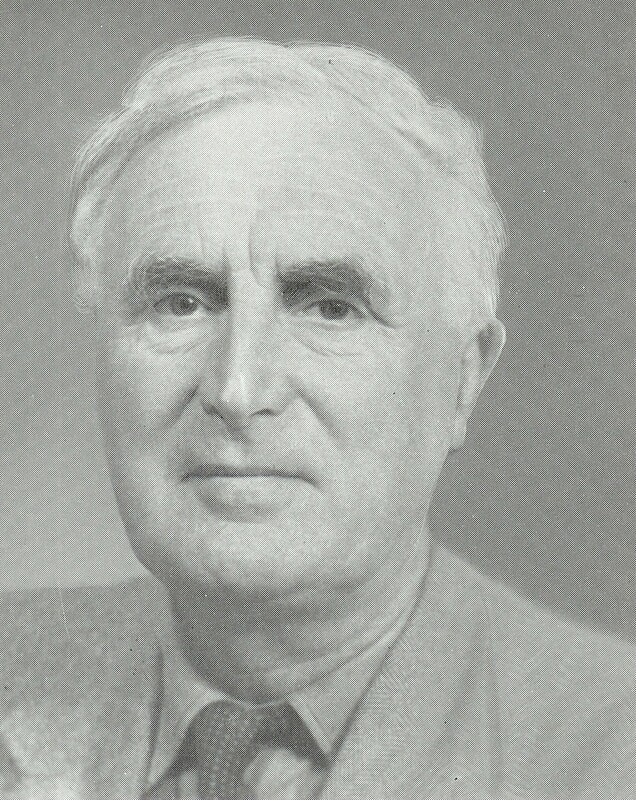 I mentioned in my post on Thurston Dart that I couldn’t find out much about Arnold Goldsbrough, who had been his teacher at the Royal College of Music 1938–9. Arnold Wainwright Goldsbrough (1892–1964) – often misspelled Goldsborough – was an organist, harpsichordist, conductor, founder of what became the English Chamber Orchestra, and an early exponent of historical performance practice. Arnold was born in the small industrial village of Gomersal, a few miles from Bradford in Yorkshire, England. Up to the mid-1930s, the street where he was born was unpaved, and the Goldsbrough house was the only one with a bath. His father was a cabinetmaker who played the cello, and at one time was also a member of the local district council. Arnold’s musical ability was recognized at an early age, and he was discouraged from playing games, in order to preserve his hands. He went to Heckmondwike Grammar School and began four years of serious musical studies under Charles Stott of Bradford in 1905. Charles Stott, organist of All Saints’ Church, Little Horton Green, Bradford, taught the young Goldsbrough. He was a gifted pianist as well as organist, who had trained at the Leipzig Conservatory (where he once played before Brahms), though he lacked the drive to attain a position worthy of his powers. Goldsbrough always remembered him with gratitude and affection, and when Stott as an old man fell into poverty, he prompted the raising of a fund sufficient to relieve his last months. Arnold Goldsbrough must have been something of a prodigy, as he became a church organist, aged just 12, in the same year that he started with Stott. In 1909, he enrolled as an external student at London University, but to what extent he completed courses is unknown. In July 1915, he became an FRCO (a very difficult-to-obtain organ qualification, involving complicated “paperwork”) and, in the same month, he also passed the first part of the MusBac at Durham University. For those who are wondering why he didn’t get called up, a heart condition kept him out of both wars. His next career move was to become Assistant Organist to Sydney Nicholson at Manchester Cathedral in 1917. In 1920, when Nicholson became organist at Westminster Abbey, Arnold went with him as second assistant organist, and remained there till 1927. He must certainly have had “most excellent credentials” and been “a player [with] both taste and ability” (which is how he was described in the 1913 Leyland parish magazine, when he became organist there), as he played at the wedding of the Duke of York to Lady Elizabeth Bowes-Lyon, the future Queen Mother. Always keen to learn, Arnold studied composition, double bass and conducting at the Royal College of Music from 1920, for a year, and was later part of the faculty there, as a professor of organ 1924–41. During the ’20s and ’30s, Goldsbrough held various posts concurrently as an organist (most notably at St Martin-in-the-Fields), taught at Westminster School and succeeded Gustav Holst as Director of Morley College. … I am jolly glad that you are going to look after our Arnold. He has always seemed to me to be the sort of chap that could do with a little spoiling. Described as “a very rare occurrence” in Arnold’s old local newspaper, the Cleckheaton & Spensbrough Guardian, the Goldsbrough wedding took place in Henry VII’s Chapel in Westminster Abbey. I don’t yet know what recordings are going to surface; but here’s Goldsbrough playing continuo – for which he was justly famous – from the series called The History of Music in Sound, issued in the early 1950s. Joan Alexander (soprano – who died on Christmas Day 2010, aged 98), Arnold Goldsbrough (harpsichord), Ambrose Gauntlett (cello). I was interested to read your article on Arnold Goldsbrough. There isn’t even a Wikipedia Article to his name. I arrived at prep school in Tenbury in 1964, but I only remember that his wife, known only to us as Mrs Goldsbrough, used to come and play her viola in the school orchestra. Many years later I bought a copy of Schmieder’s Bach Werke Verzeichnis inscribed “Arnold Goldsbrough, Tenbury Wells.” So if he lived in Tenbury Wells and died on 14th December that year, then I missed meeting him by a whisker. I look forward to Part 2 of your article. He put in a word in the right place and Charlie was appointed Sergeant Stott, Bandmaster of the Royal Air Force School of Music in Hampstead. This led to him being the first to try out the Air Force March composed by Sir Walford Davies. I have written a book about him and all the musicians he associated with, which you might find interesting. Arnold & Jo Goldsbrough were close friends of my parents, Joan and Isador Caplan, and I remember them warmly from many visits in London and Tenbury Wells. My father was legal adviser to and an early Board member of the English Chamber Orchestra (originally the Goldsbrough Orchestra). Arnold’s championship and musical realization of many forgotten works of Purcell and Handel were a huge contribution to British musical heritage and an important influence on the work of Benjamin Britten. Isador used to tell the story of a walking trip he and Arnold took in Brittany just after the war (1947?). They stopped at a country inn hoping for a bite of lunch only to be told that the restaurant was closed that day. They were turning away hungry when monsieur le patron called them back … perhaps something could be arranged …? It was the day of the local agricultural fair, the first since before the German occupation, and long tables were set up behind the inn for the feast. Seats were found and they enjoyed a splendid meal with many speeches and toasts, including one for “our distinguished friends and fellow agriculturalists (!) from England”. After much wine and Calvados the singing started and the guests were pressed to contribute. Arnold cravenly declined, but Isador gave them several verses of “On Ilkla Moor Baht ‘at” to total incomprehension and great applause. They staggered out around 4:00 PM and promptly fell asleep beside the road. No more hiking that day. Wonderful to see this great man recognised. For years I have had a superb 78 [rpm] recording of Goldsbrough playing Bach Toccata and Fugue in D min BWV 565 – what a shame this appears to be his only Bach organ disc. He also recorded Handel Minuet from Berenice. That is all I have found in 45 years.